After getting my braces tightened, I needed a little pick me up. 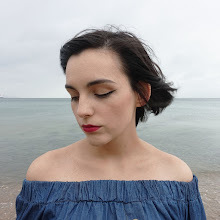 I crossed off a few products from my wish list and made an online purchase with one of my favourite skin care brands, L'OCCITANE. 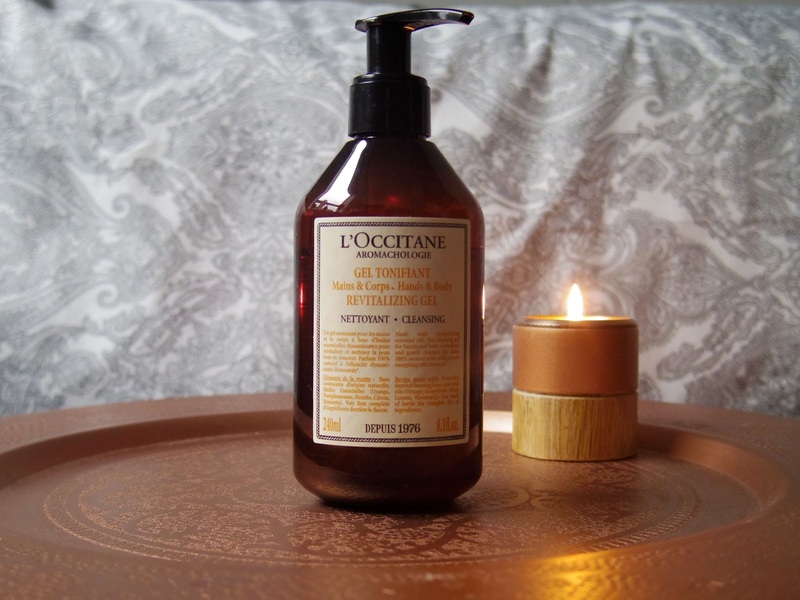 What I love about L'OCCITANE is not just the products themselves, but their packaging and unique aesthetic. They understand that I want clean and simple but sophisticated looking bottles and tubs on my shelf. Nothing too overbearing, but something that nicely decorates the place. 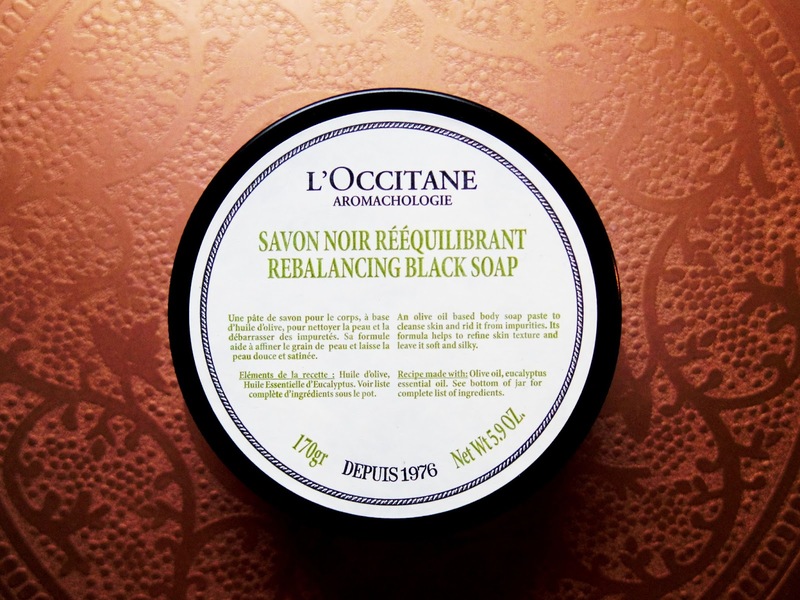 L’OCCITANE’s Rebalancing range has a surprisingly powerful rich scent. It’s so deep, it could even be considered masculine. With mixes of essential oils, cypress, juniper, lemon, thyme and the strongest, eucalyptus, this collection isn’t at all flowery which is exactly the reason why I wanted to try this out as sweet scents tend to give me a slight headache. It actually reminds me of menthol, which doesn’t bother me as it helps clears my head, but I think it could with other people. On first smell, there’s a base note of eucalyptus and a citrus top note, which is probably the lemon coming through which really helps me to calm down and relax after a long day in college. I think this collection is suitable for all genders as it’s got a very neutral smell! 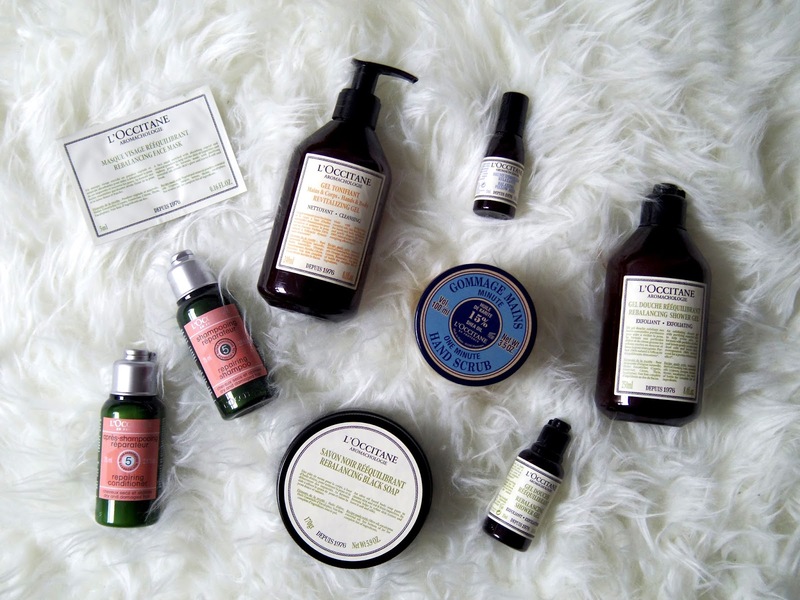 I always go to L'OCCITANE for presents as their product’s scents linger for hours! I was surprised by the texture of the exfoliator. The small yellow-brown beads aren’t harsh at all, so I’ve concluded that it’s definitely more of a shower gel. I’d definitely recommend this for people who can’t use harsh exfoliators, as this one is more of a liquid so it’s very calm and mild. I love how the aroma fills the room as soon as I squeeze the gel out of the bottle. However, I must say, I don’t think the 250ml will last long, as one squeeze doesn’t really stretch with this product. Although it’s not actually black, I’m loving this soap. I didn’t really understand the whole concept at the start – what’s the point in using a soap when I’ve got a shower gel/exfoliator? But this product is actually very different. 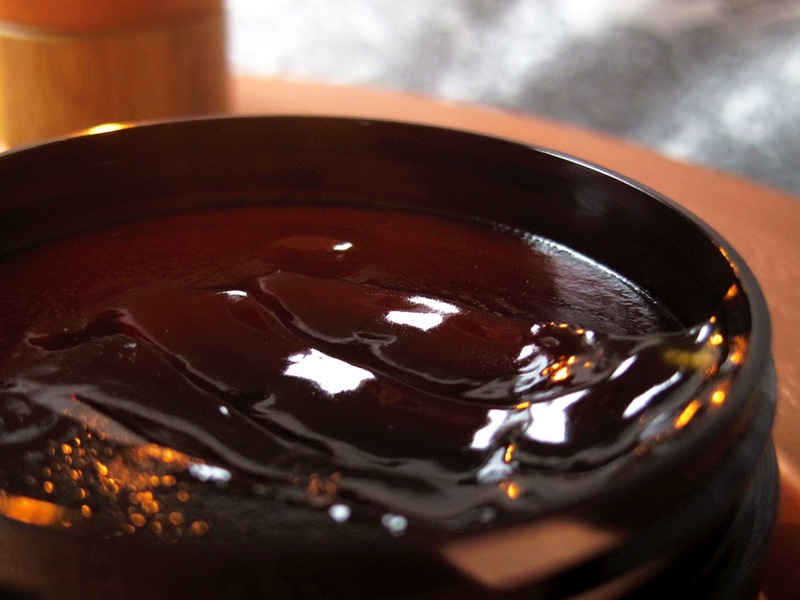 Unlike the gel, a little bit of this goes a long way. I just take one small scoop and it glides effortlessly. I’d consider repurchasing this product as the scent is actually a lot stronger than the shower gel/exfoliator. But on second thought, I think they should have called it “orangey-yellowy soap”, but I guess it’s just not as mysterious. If you’re into citrusy scents, the Revitalising collection is the one for you. The scent reminds me of when you peel a tangerine and the scent lingers on your fingers for a while, but it’s not as strong, and there’s also a touch of mint after. It’s actually ideal for when you have a stuffy head/headache. The natural oils and scents completely clear my airways. Coupled with a hot shower and the steam, this product works wonders for my well-being. But like the rebalancing shower gel, a lot is needed, so I probably won’t be using this as a hand wash! I never exfoliate my hands. It’s not something I ever think of doing, but I saw this on the website and couldn’t resist. For ‘damaged’ hands, I figured this would speed up the recovery of the hideous burn I got on my hand last Christmas form the curling iron. There were many tears shed that day, but ever since, I’ve been eyeing up this hand exfoliator. It comes with a baby spatula that you dip into the pot, scoop up and apply. I was surprised when I dunked the spatula into the pot to find these tiny, scratchy balls sitting at the bottom, immersed in a liquid formula. All you do is rub the beads onto your hand using the spatula, then wash it off. It literally takes just one minute! It was harsher than expected, feeling a bit like combing your fingers through the wet sand on the beach, but after a few weeks of using this, coupled with L’OCCITANE’s shea butter hand cream, the burn on my hand has undoubtedly faded, and my hands have never felt so good, so I think I would definitely consider repurchasing. 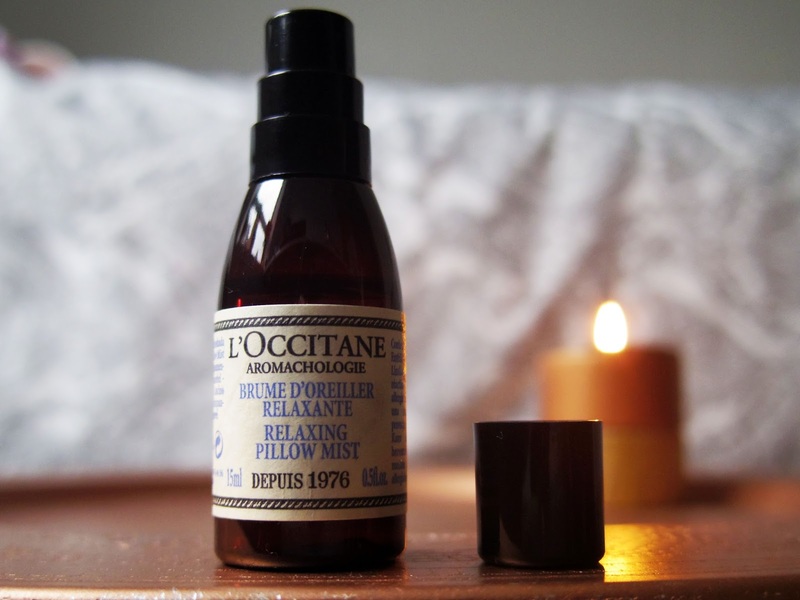 At the time, L’OCCITANE had a promotion code to get a free gift as part of the launch of their Aromachologie collection. These all came in a cute detailed travel bag. 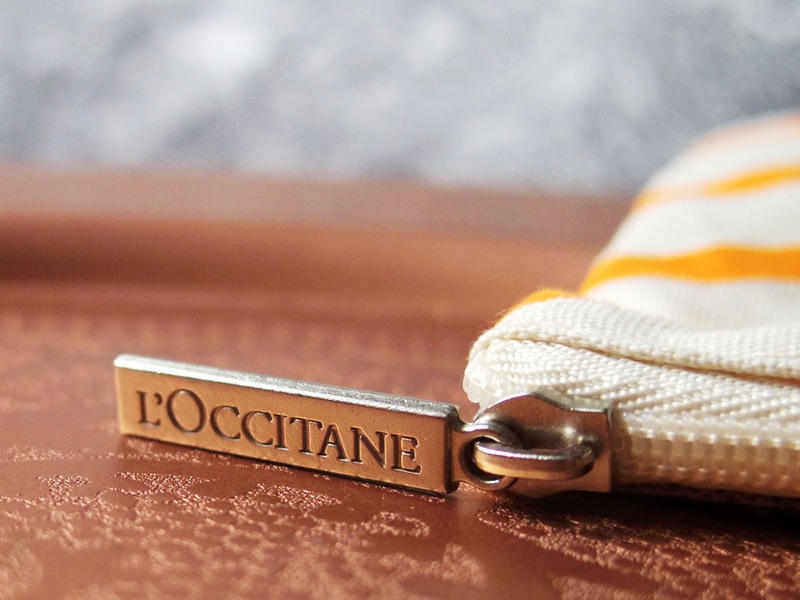 It’s worth noting that the zip had the L'OCCITANE logo etched on it which I love because the small details really make a big difference. This is my favourite gift. I was so happy when I saw this in the gift bag, as it’s part of the Relaxing range! I don’t use this very often, only on nights that I’m not particularly sleepy, as the cocktail of lavender, bergamot, mandarin, sweet orange and geranium never fails to relax me. So what can I say? I'm really glad I got to mix and match products from the three ranges in the aromachlogie collection. 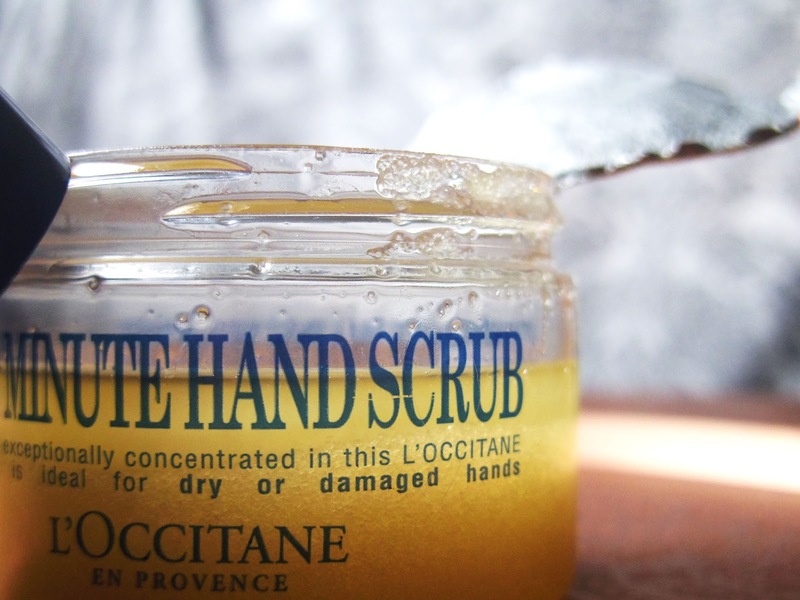 L'OCCITANE never fail to impress me when it comes to quality and aesthetics. They always pay close attention to their bottles and packaging. 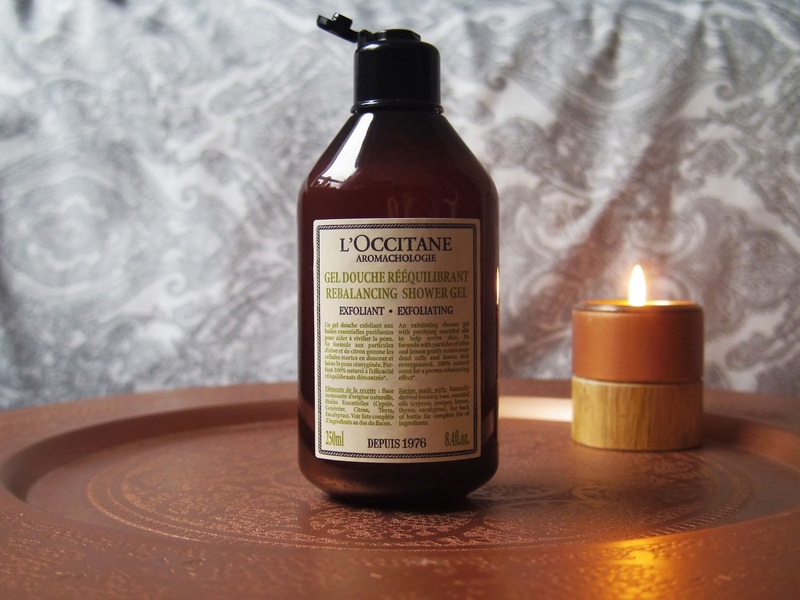 In terms of the products themselves, I just feel like they’re doing my skin good, and I’ll definitely be buying from L'OCCITANE! Not to mention, their delivery is super fast!